When Lorde announced a slew of international tour dates in support of her second album Melodrama last month, a scheduled show at Tel Aviv’s Convention Centre drew immediate criticism. An open letter titled “Dear Lorde, here’s why we’re urging you not to play Israel” was posted to The Spinoff, with the New Zealand musician subsequently cancelling the show. “I pride myself on being an informed young citizen… but I’m not proud to admit I didn’t make the right call on this one,” she said in a statement. The controversy may seem familiar to music fans. Last year, Radiohead ended up in a similar situation with a show they had booked for Tel Aviv – but unlike Lorde, they went ahead despite the backlash. 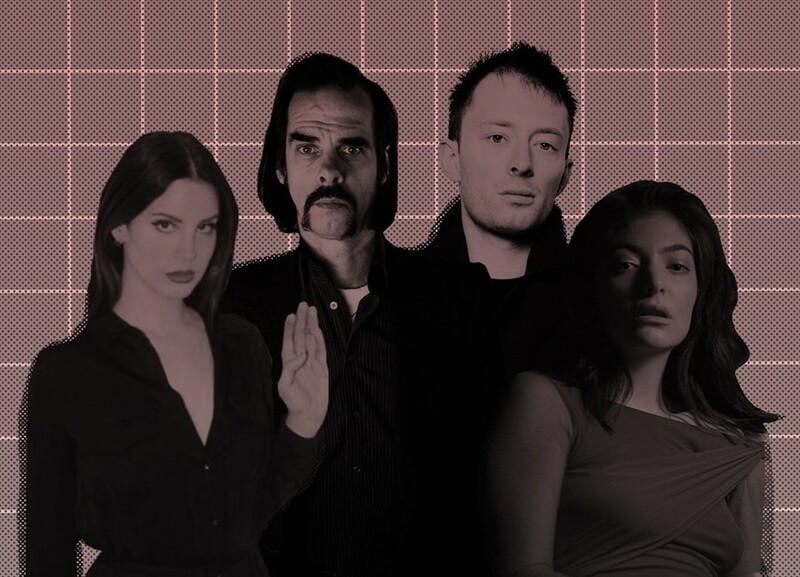 In recent years, artists from Lana Del Rey to Nick Cave have all drawn controversy over their decisions to either perform or not perform in Israel, while last August, more than eight artists withdrew from Berlin’s Pop-Kultur festival over its partnership with the Israeli Embassy. To anybody not familiar with the ins and outs of the Israel-Palestine conflict, these situations might seem strange. What’s so controversial about a pop concert? And why are these artists being asked to cancel? To understand, it’s necessary to get to grips with the history of the BDS (Boycott, Divestment, and Sanctions) movement. Inspired by the South African anti-apartheid movement, BDS is a non-violent, Palestinian-led campaign that protests the Israeli occupation of Palestinian land. As Amnesty International report, Israel has occupied Palestinian land in the West Bank, East Jerusalem, and the Gaza strip for decades in violation of various international and human rights laws. BDS describes the situation as apartheid. Their key demands are the end of the occupation, the dismantling of the West Bank wall, the Palestinian Right of Return (a provision to allow some 7.25 million Palestinian refugees to return home), and an end to segregation. They encourage the withdrawal of investments in Israeli companies and international companies who violate Palestinian rights, and also pressure governments around the world to hold Israel to account. BDS also encourages a cultural boycott, where artists send the right message by not exhibiting or performing in Israel. IS IT REALLY SUCH A BIG DEAL TO PERFORM THERE? WHO SUPPORTS BOYCOTTS, AND WHO’S AGAINST THEM? CAN A CONCERT REALLY LEGITIMISE A GOVERNMENT? WHAT ARE THE OTHER ARGUMENTS AGAINST BDS? When Lorde cancelled her show, Itzhak Gerberg, Israel’s ambassador to New Zealand, requested to meet her to discuss it, writing that by cancelling, she was “succumbing” to a “hateful agenda”. Most notably, American rabbi Shmuley Boteach took out a full-page advertisement in the Washington Post decrying Lorde’s decision as “anti-semitic” and calling her a “bigot”. Words like ‘bigoted’, ‘hateful’, and ‘anti-semitic’ are often used by critics of the BDS movement, who liken the tactics to the Nazi boycotts of Jewish businesses. Others have accused BDS of smears and of using bullying tactics against their opponents. BDS, however, describes itself as “an inclusive, anti-racist human rights movement” who oppose “all forms of discrimination, including anti-semitism and Islamophobia,” and insist that their criticisms are focused on the actions undertaken in the name of the state rather than targeting specific individuals. Anti-semitism is a very serious problem, and there have been voices in the anti-Israel movement who’ve either explicitly or implicitly used anti-semitic framing in their arguments. In particular, the role of Israel in global affairs has been a familiar staple in right wing conspiracy theories, with the state depicted as ‘pulling the strings’ in international affairs – a dogwhistle that feeds into longer standing anti-Jewish conspiracy narratives. There are, however, many critics of the Israeli government’s actions who are themselves Jewish. It’s also important to scrutinise who is making accusations of anti-semitism to judge whether they’re fair or not. In his advertisement in the Washington Post, rabbi Shmuley Boteach described Lorde as joining “a global anti-semitic boycott of Israel”, but Boteach has also written for websites like Breitbart and praised its former editor Steve Bannon, who once called the publication “the platform for the alt-right”. Other critics of Lorde’s decision to cancel the show suggested that she was unfairly punishing her fans in Israel. Not all Americans are on the Trump train, and not all Israelis support their government – so why should they miss out? “This raises the question, whose justice are we concerned with here?” asks Stephanie Adam. “Israeli youth’s ‘right’ to enjoy a concert, or the UN-sanctioned rights of the Palestinian people who have had to endure Israel’s colonisation, occupation, and apartheid policies for 70 years?” It’s a response that echoes the musician Brian Eno, who, responding to Nick Cave comment that BDS activists were trying to “censor and silence musicians”, wrote that “this has nothing to do with ‘silencing’ artists – a charge I find rather grating when used in a context where a few million people are permanently and grotesquely silenced”. IS THERE AN ETHICAL WAY TO PERFORM IN ISRAEL? Musicians such as Nicolas Jaar have performed in Israel and not been criticised for the decision. BDS has guidelines on how artists can participate in cultural events in Israel while respecting the boycott – in Jaar’s case, he performed in a Palestinian-run venue in Haifa, while artists like Acid Arab, who’ve previously played in Tel Aviv, have said they would only consider performing in Palestinian venues in future. However, BDS stresses that artists should not be doing this alongside a performance in Israel: “Palestinians reject the idea that the damage done by an artist performing or exhibiting their work in Israel can in some way be compensated for by a parallel performance or exhibition in occupied Palestinian territory. This attempt at ‘balance’ undermines Palestinian rights.” PACBI also states that although there are grassroots venues that publicly recognise the rights of Palestinian people and refuse to employ discriminatory policies, no major Israeli institution or festival has done this.